Tidal Pool was one of the designs for my 2016 make. wear. love. fall sweater retreat collection, and I've been wearing it regularly since. It's a more tailored spin on the traditional gansey, with a clean silhouette and slight A-line shaping as shown. 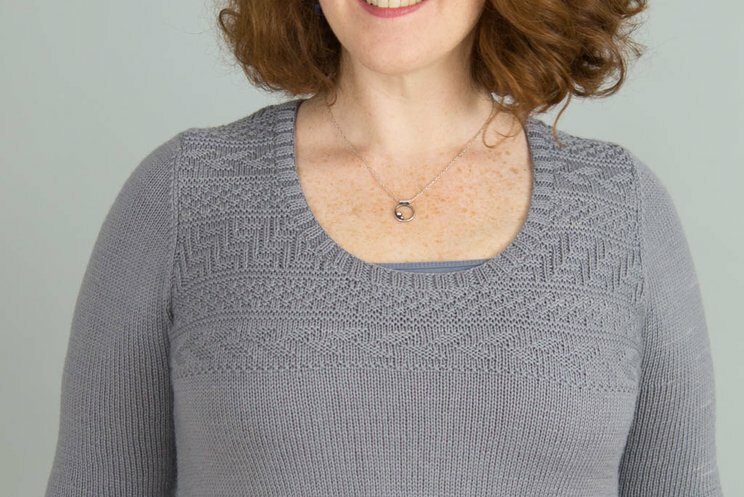 Of course, CustomFit lets you choose your sleeve length, your sweater length, and your sweater's silhouette - so whether your Tidal Pool looks like mine is completely up to you! 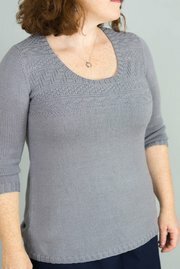 Edges are trimmed with small amounts of 2x2 ribbing, and patterned on the front and back of the garment with an all-over knit-purl texture. Charts for the stitch pattern can be found on this page, as well as in your pattern. I've used a crisp sport-weight yarn for the sample: the lovely Rosy Green Wool Cheeky Merino Joy. If you're using an alternate yarn, I strongly recommend choosing something with great stitch definition in a gauge not much larger than a light worsted. The sample shown uses Rosy Green Wool Cheeky Merino Joy, in the color "Isar Pebble". 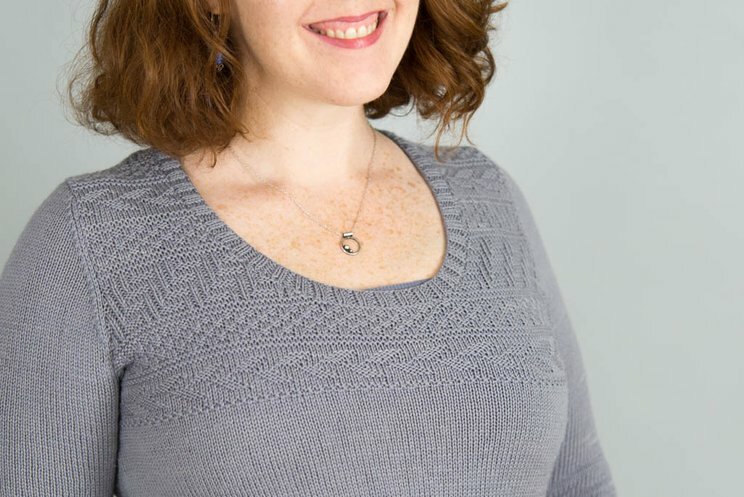 If you're using the Rosy at Amy's gauge of roughly 6 stitches per inch, you'll need approximately 3 (3, 3, 4, 4, 4, 4, 5, 5, 6, 6, 7) hanks of the Cheeky Merino Joy for a standard size 30 (32, 34, 36, 38, 40, 42, 46, 50, 54, 58, 62)'' garment in an A-line silhouette.